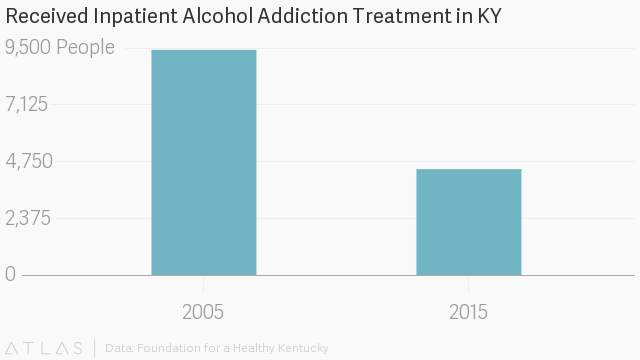 Alcohol use and misuse is a growing problem in Kentucky. 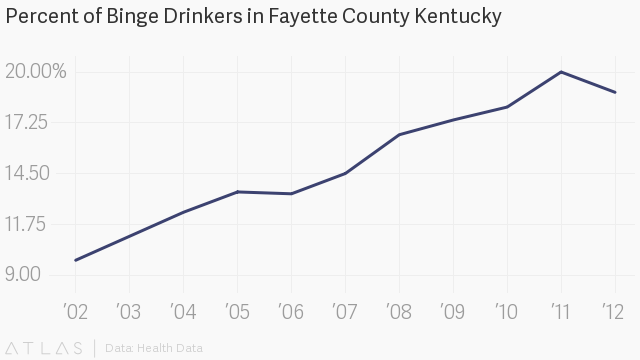 From 2002 to 2012, Kentucky saw a greater percent increase in alcohol consumption than any other state in America. The study that drew these conclusions found a 41% increase of alcohol consumption across Kentucky. Runner up to Kentucky was Tennessee with a 27% increase, and then Louisiana at a mere 13% increase. During a similar time period—from 2005 to 2015, inpatient treatment for alcohol addiction and misuse decreased sharply. It is estimated that nearly 18 million American adults suffer from an addiction to alcohol. Most people agree that these 18 million people would benefit from some kind of alcohol treatment program. Still, only 1 in 10 of them receive the treatment for their addiction. The bottom 30% consume less than one drink per week. The top 30% consume a drink a day, and the top 20% consume two drinks a day. The top 10% (including the addicts) consume on average 10 drinks a day. As you can see, there is a wide spectrum of drinking in America. And there’s a significant chunk of the drinking population who aren’t classified as “addicts” but who still need to get help before their misuse turns into an addiction. This shows that while alcohol use is on the rise, alcohol misuse is increasing at an even faster rate. You drink to relieve stress. You look forward to drinking. Your drinking may be related to one or more health problems. You drink to relieve boredom or loneliness. You sometimes drive after drinking. Your performance at work is not what it used to be. You aren’t comfortable in social situations without drinking. You find that drinking helps you overcome your shyness. When you use alcohol for specific purposes, or when your use has regular consequences, it’s time to take a closer look at your drinking habits. Just like you wouldn’t wait until your cancer reaches stage 4 before treating it, you shouldn’t wait until your alcohol misuse turns into a full blown addiction before seeking help. So, don’t wait, get help today.